We usually welcome the new year by making some resolutions only to be left unaccomplished and recycled for the following year's list. Why not, welcome the new year with a clearer, fresher, cleaner, less-stressed you? To live a new and cleaner life, we could start decluttering where we actually live, our homes. Decluttering your home may sound easy, but actually it's not. It's not as simple as finding items in your home that you don't need and throw it away. As Filipinos, we tend to be sentimental about our things like gifts, letters, bouquet of flowers and the likes, which later on get piled up, collect dust and soon we end up with cluttered homes. We tend to buy new appliances, clothes, furniture and neglect the old items of the same kind which we no longer use. So, to welcome the New Year with a clean bang, I want to share with you some tips which I do in decluttering our home that work well for me. START - First, assess your home. Does it have lesser space? Is it full of clutter? Do you have so much things you don't or rarely use? If your answer is mostly yes, then it's time to declutter. If you're a working mom like me, start on a weekend. Set a time to start and stick to your schedule. There's no reason for you to procrastinate, just start your decluttering activity. Be realistic with your schedule. For sure, you cannot do everything all at once or in a day. Remember to keep bags and boxes for organizing, storing and throwing within reach. STRATEGIZE/ APPLY ZONING - Don't overwhelm yourself by looking at the whole room or at your house full of clutter. Declutter by zones. You could start with the working corner of your room, then move on to your closet, then your children's room, the bathroom then the kitchen. 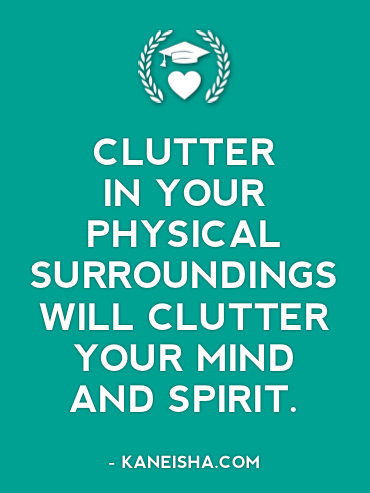 One important tip is while doing your decluttering activity is to stay focused, avoid distractions. If you see a spare tool on the floor or a misplaced kitchen utensil, don't go downstairs to put the tool in the toolbox or to the kitchen to return the utensil. You'll be distracted sooner than you think and lose focus. Instead, grab a bag to put all the misplaced items and set another schedule to return them in its proper places. Dispose - items such as plane tickets, receipts, statement of accounts, batteries, broken toys and any other items that are broken and cannot be used could be thrown already. Sometimes even in your own wallets you keep atm receipts you don't need anymore. Give Away or Donate - For items which are not broken or torn, but you no longer use or no longer want, or clothes that no longer fit you, best way to declutter is to give them away or donate to the less fortunates. Not only you were able to clear your homes, but you're also able to help and make others happy. Sell - If you have a heart of an entrepreneur like me, selling could be another option. After collecting things in your home that are still in good condition but you no longer use or need, schedule a garage sale and turn your clutter into money. Keep - We tend to be sentimental over some things and it's ok to keep some old stuff in the storage. These of course could be love letters, photos and other memorabilias of our children. Let's keep things which we know we still need and will still use. LETTING GO - Now that you've segregated which are for keeps and disposals, it's time to learn to let go of the things you put in that giveaway/donate/dispose box. It's the key to a clutter-free home. One more tip, when you purchase a new appliance let's say, dispose of the same kind that you know you'll no longer use because it's what you purchase a new one for. It's a take in-take out rule that I follow. STAY CLUTTER-FREE - Commit to staying organized and clutter-free by setting a monthly or even a quarterly schedule to declutter your home. This task could be easier if after your success in your first decluttering, you set up an organizing system within the family like, a designated place where to put all paper (letters, bills, receipts or notices), toys, keys, or shoes. If this will be accomplished, in the coming weeks or months, there will be less clutter in your own homes and lesser amount of time to spend decluttering. "The ability to simplify means to eliminate the unnecessary so that the necessary may speak. - Hans Hofmann"
Wouldn't it be nice to welcome the new year with a new, improved and decluttered homes? 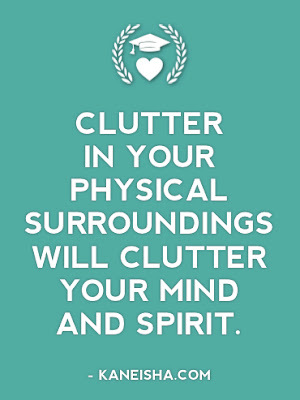 Do you have decluttering tips to share too? It may sounds so so easy, easy as chicken but doing it really consuming. Decluttering is very important for your homes. Thanks for sharing these amazing tips in your post. These tips will give great help for clutter free my home. I want to share it with my friends on twitter. Malapit na ang 2014! De-cluttering and re-organizing time again! :) Thanks for sharing this. Hi @Sheena Mamaril Malate Tama ka! :) Happy New Year ulit! :) May utang pa ako sayo! hahaha!